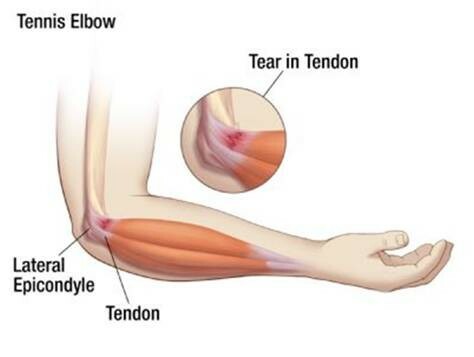 Tennis Elbow, also known as lateral epicondylitis is a condition caused by chronic inflammation of the tendons that link the muscles of the forearms on the outer side of the elbow resulting in soreness and tenderness of the outer region of the elbow. The muscles and tendons of the forearm become damaged through overuse and repetition of same strenuous motion day after day. Although, some people might develop this condition by actually playing the sport, but it can also be caused merely by regular computer use, especially the mouse. Other cases of tennis elbow are not even caused by overexertion, but by injuries and blows to the area. Now arises the question of how to treat tennis elbow. 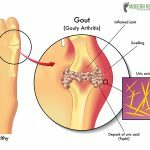 Although, medication and surgery are popular options for treating this problem, but there is another effective self-healing method that works really well as a natural cure for tennis elbow. This natural treatment is known as acupressure. It is an alternative medical practice to treat tennis elbow pain that has its roots in ancient China. Evidence and research show that regular administering or acupressure therapy can promote recovery and reduction of pain and numbness associated with this condition. 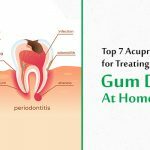 Know the 10 most functional acupressure points for relieving tennis elbow and other elbow pains naturally. Large Intestine 11 or L.I.11 is one of the most important acupressure points for tennis elbow that effectively addresses this condition. This point is also known as the Pool at the Crook. This point is located in the large hollow that is situated at the outer end of the elbow crease. Applying sustained pressure on this point on both arms using your fingers can help in releasing the stagnant Qi in this region and relieves pain in the forearms, upper arm and shoulder. The Large Intestine 11 has several other benefits. It is a powerful acupressure point to relieve constipation, digestive disorders, fever and inflammation. 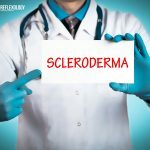 It also cures skin conditions such as psoriasis and eczema. This is yet another important acupressure point for treating tennis elbow which is positioned on the radial side of the wrist right inside a depression between the extensor pollicis longus and brevis tendons. It can be found when the thumb is sticking upward. This is an effective local point for relieving wrist pain. Putting pressure on this point also helps in treating mental conditions. 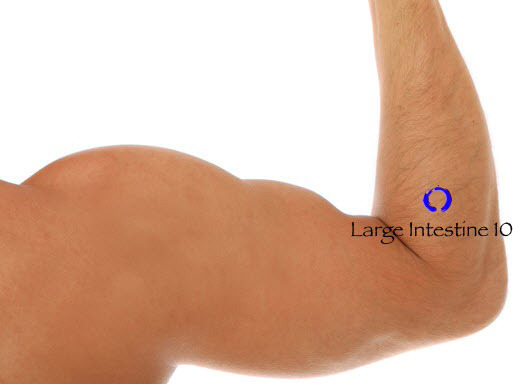 The large intestine 6 is located in line with large intestine 5, but is it 3 inches higher and towards the elbow. Applying pressure on this particular point helps in relieving pain in arms, wrist and elbow. 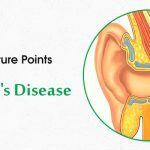 This point is also known as the LUO Connecting Point and is useful in treating toothache, nose bleeds, deafness and problems related to ear and teeth. 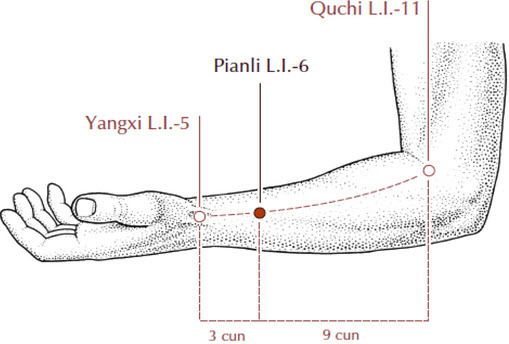 LU 5 also known as the Cubit Marsh is a useful point for elbow pain relief that is located at the crease of the elbow, just outside of the biceps brachii tendon. The Lung Point 5 is considered a regulator of water inside the body, which helps to the level of water within the body that is involved in inflammation. It treats the restricted elbow movements in conditions of tennis elbow and tendonitis and also relieves pain in the upper arm. This acupressure point is also helpful in treating back pain, skin problems, Diarrhoea and Edema. 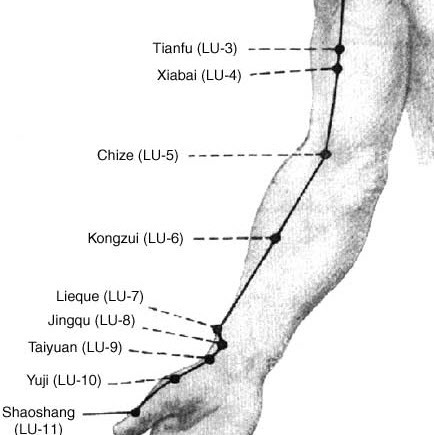 LU 6 is also a helpful acupressure point for tennis elbow pain relief. 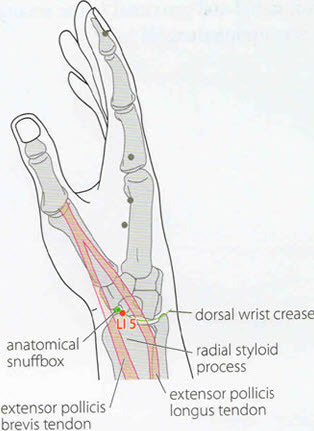 This point is located approximately 5 inches away from the Lung Point 5 towards the wrist when the palm is facing upward. Stimulating this point helps in relieving pain in arms, forearms and elbow. This acupressure point is also useful in treating asthma, cough and cold, sore throat and chest pain. The HT 3 also known as Lesser Sea is another functional point of relief for tennis elbow. This point can be located then the elbow is flexed. It is situated right between the ulnar end of the cubital crease and the medial epicondyle of the humerus. Stimulating this point on both arms helps in relieving numbness, pains and tremors experienced in the lower arms and hands. It is also effective acupressure point for treating depression, anxiety, poor memory, stroke and Parkinson’s. This is one of the most effective acupressure points to treat tennis elbow. The TH6 is located 3 cun above the TH4, at the middle of the radius and ulna, on the radial side of the extensor digitorum muscle and the tip of the olecranon line. Applying pressure to this point periodically can help in relieving arm pain, shoulder pain, heaviness of shoulder and back. It is also an effective acupressure point for relieving eye disorders, chest pain, inflammation, constipation, vomiting and diarrhoea. The TH10 or Celestial Well is one of the most well-known acupressure points for elbow pain that can be located when the elbow is flexed. It is situated 1 cun above the olecranon process in a depression. Proper stimulation of this point on both arms can help in reducing tendonitis, elbow pain and lymph swelling. 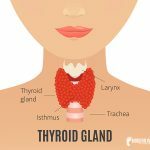 This acupressure point can also treat migraines and headaches, thyroid disorders, depression, anxiety, epilepsy and chest pain. LI 10 or Arms Three Miles is a popular point of acupuncture for tennis elbow. 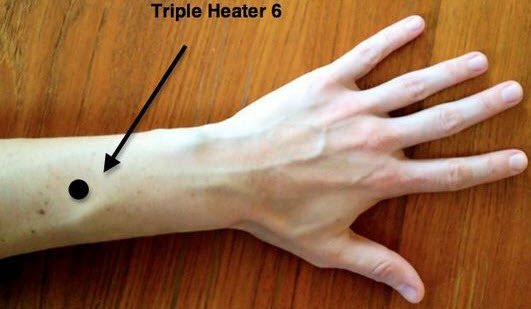 This point is located on the forearm, approximately 1 inch below the elbow fold. Stimulating this point with fingers can relieve arm pain and immobility of the arm. It also addresses the issue of the shoulder and elbow. Stimulating this point enhances the flow of energy through the large intestine channel and helps treat nausea, vomiting, ulcers abdominal pain and digestive disorders. LI 12 is also known as the Elbow Bone and is a powerful acupressure point for tennis elbow cure. This point is located just above the fold of the elbow. Stimulating this acupressure point helps in relieving numbness, relaxing sinews and reducing the pain associated with tennis elbow that radiated up towards the shoulder. It is a local point that is used to stimulate energy flow in the elbow and relieve swelling and inflammation. Say goodbye to pain killers and medicines and cure Tennis Elbow and Tendonitis in an all-natural way by stimulating these acupressure points for treating tennis elbow. TKS FOR YOUR RELEXOLOGY LESSONS. i AM AN ACU THERAPIST AND WOULD LIKE TO HAVE MORE LESSONS FROM U.
thank you for appreciating our work. Hopefully we would provide better and more informative articles in the future. Excellent advice . Mentioned in detail. Surely anyone can relive pain without medicine.